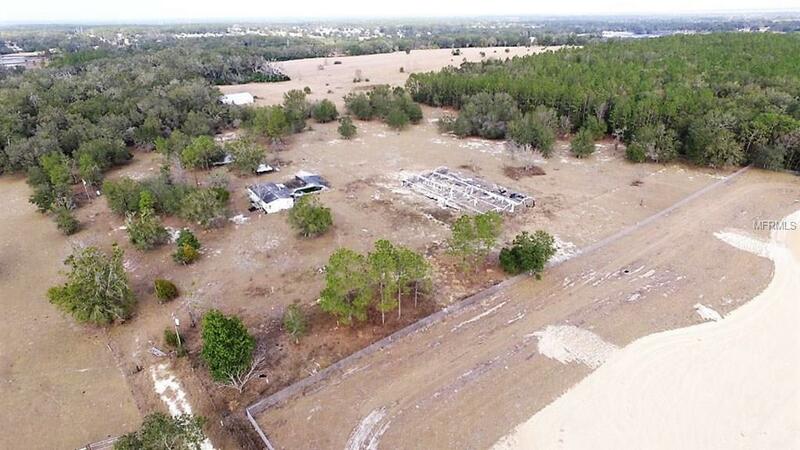 10+ Acres that is currently zoned A1- ZIP(Zoning in Progress) in the city of Apopka. *Value in Land* Build your dream country home and pool is already there. There are two manufactured homes(heated SF 1555 & 1144) that can be removed or fix and rent for extra income. The mobile homes have $0 value. Easement with the city of Apopka; the city has the communal access to the driveway of property. Well water, septic, electric & cable available on site. Storage shed & green house(structure only) on site. Retention Pond is in front and Conservation in the back of the property. The lot is gated & fenced. Close to the new 429 extension and Kelly Park Rd. Listing provided courtesy of Greater Orlando Realty Usa Inc.